Some of the things I enjoy receiving stay the same from year to year. While I did get planner stickers to decorate my Erin Condren planner last year, I'd love some more this year! In my 'research,' I came across JaxandPepper on etsy.com. I came across several sets that I think I would like, including the Winter Bunny, Dreamy Forrest, Vintage Modern, Simplicity, Grey Peony, Stay Warm, and Boho Dream sets. If you know me, you can probably guess which stickers I'd like. 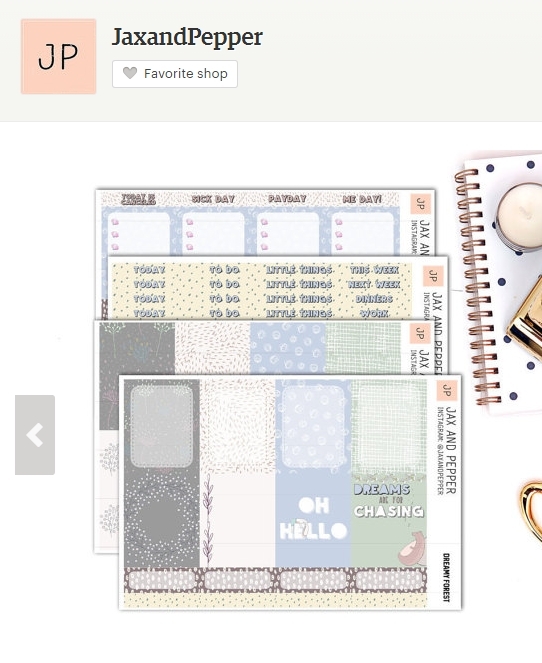 I just really want them to be already printed (vs printable), and designed to fit my Erin Condren vertical life planner. If you're a fellow paper planner, what stickers do you recommend? My plans are written in jello so I guess that leaves me out as an expert.